Be the first to share your favorite memory, photo or story of Rowe. This memorial page is dedicated for family, friends and future generations to celebrate the life of their loved one. 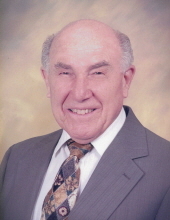 Rowe Franklin Piercy, age 93 of Maiden passed away Saturday, April 13, 2019 at his residence. Born November 28, 1925 in Catawba County, NC he was the son of the late Lonnie Franklin and Laura Propst Piercy. He was a veteran of the US Navy and served in World War II. The funeral service will be held Tuesday, April 16, 2019 at 3:00 PM at Cornerstone Church in Maiden with Dr. Gregory Dry officiating. The family will receive friends prior to the service from 2:00 – 2:45 PM at the church. Burke Mortuary in Maiden is serving the Piercy family. To send flowers or a remembrance gift to the family of Rowe Franklin Piercy, please visit our Tribute Store. "Email Address" would like to share the life celebration of Rowe Franklin Piercy. Click on the "link" to go to share a favorite memory or leave a condolence message for the family.